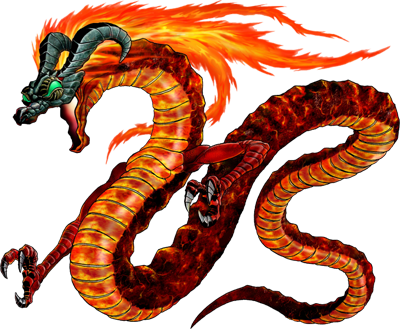 Volvagia is the boss of the second dungeon in Zelda: Ocarina of Time, the Fire Temple and maybe the same character as the Barbra boss in Zelda II. 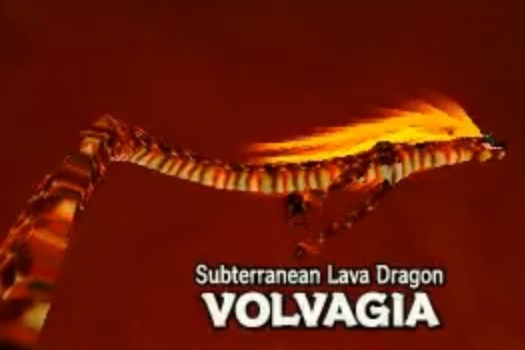 In Zelda OoT Volvagia is also known as the Subterranean Lava Dragon and is a big snake like dragon, most likely based on the Chinese forms of dragons. 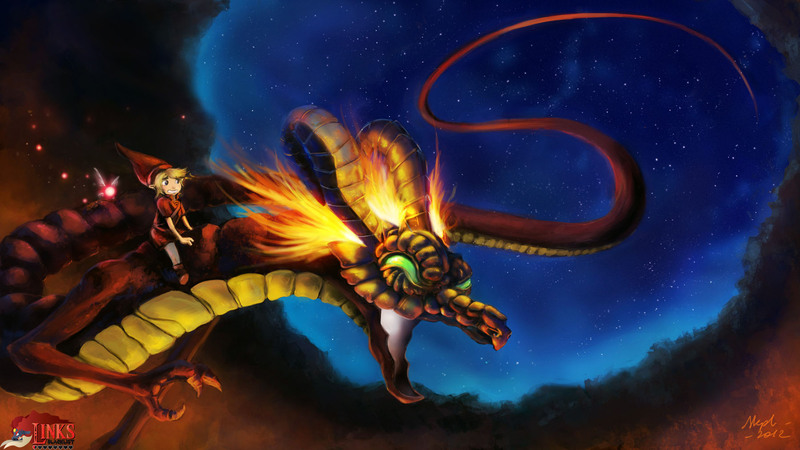 In the game Link must defeat it under any circumstances, otherwise Hyrule could become a total wasteland due to the destructive and aggressive nature of this ancient beast which was revived by Ganondorf. Our second submission is quite the opposite of the first one. 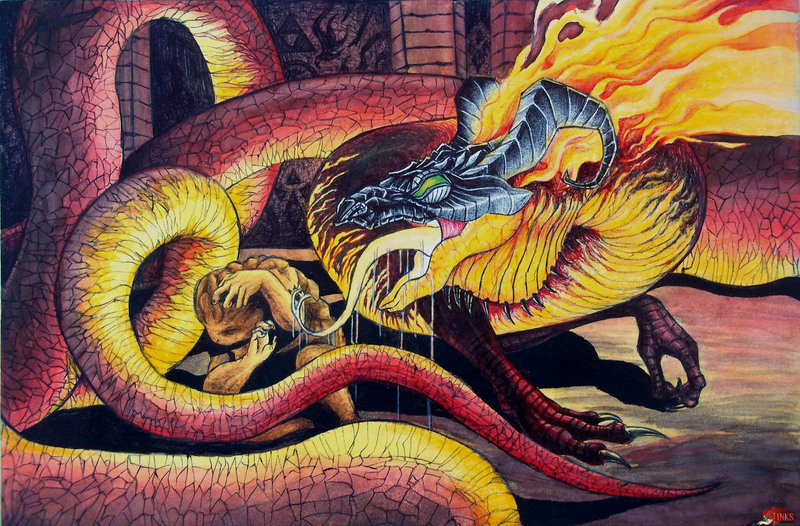 Rhafiel from Mexico wanted to stick more to the source and illustrated the…”relationship” between Volvagia and the Goron’s which were eaten by Volvagia. 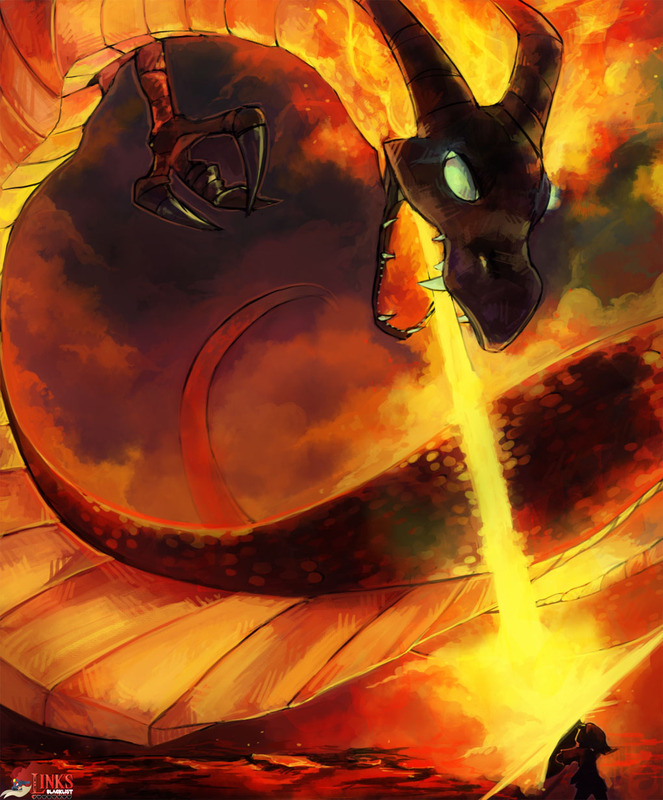 While Zefy’s art was created with digital tools, the one by Rhafiel was made with traditional tools like watercolor, ink and pencils, means we have to quite different art production styles represented through the first two submissions about Volvagia.